Hello and welcome to 2018! If you need some good news to start this year, please be advised that the famous and controversial Japanese tuning house Liberty Walk has begun messing with the normally classy and stately Lexus LC. This is a good thing. 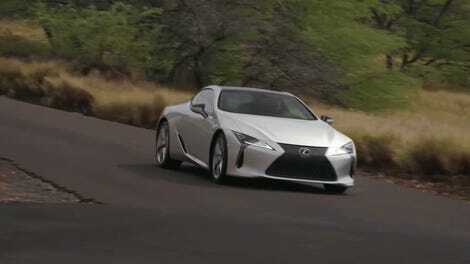 Around here, we’re big fans of the new LC, simply because we’re pleased that Lexus dared to make a big, expensive, dramatic-looking two-door luxury coupe with a naturally aspirated V8 engine instead of another boring crossover. (Then again, I have this theory that RX sales are probably so robust they can more or less do whatever they want.) The fact that the LC drives pretty well helps too. Even better is the fact that tuners aren’t afraid to get crazy with it. Much of the time, I feel like I see from the Japanese tuning scene these days mostly deals with the Nissan GT-R and older models from the sporting heyday of the 1990s and 2000s. It’s great to see Liberty Walk get ridiculous with something newer and different. 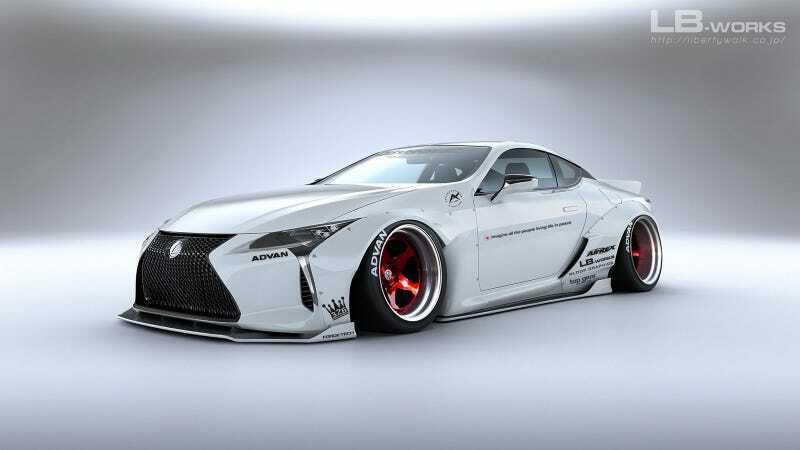 Here, the Liberty Walk kit for the LC 500 includes giant fender flares, a duckbill spoiler and front and rear carbon diffusers—not to mention the proper amount of stance. According to Autoguide, these kits range in price from about $14,000 to $20,000. Good! This is what I like to see. Keep the big expensive coupes weird, please.